I have been making about one WRX a year for several years, and they have proved to be very popular, and sell for thousands less than my first line guitars. I do not make these available to dealers, so if you like what you see, you'll have to contact me. WRX: No bells and whistles, just the great guitar itself. Targeted toward the working musician who want the absolute best guitar available and doesn't need the fancy trim. One ring rosette. No side or back purfling. The worst wood in my woodlocker (I don't have bad wood, but I do have better and best). This guitar features my JB package. 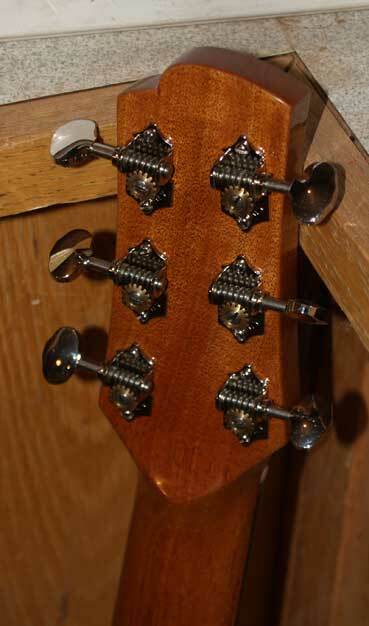 It is fully asymmetrical in both the body and the headstock in order to completely realize the benifits of being a multi-scale guitar. I believe this is a better guitar for being a JB. 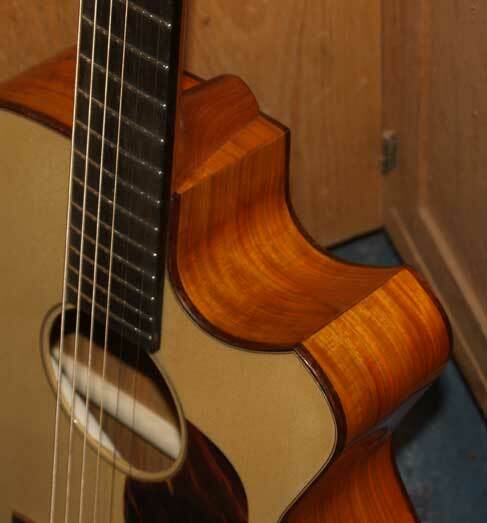 This guitar is available, and will include a truss rod cover before I deliver it! 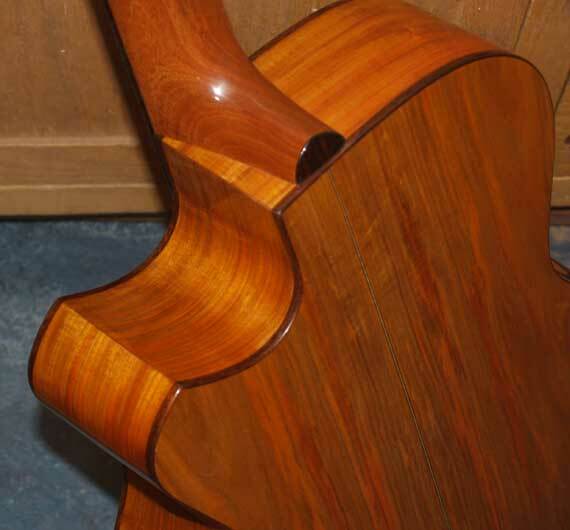 Pernambuco is one of the rarest woods on the planet, and is often called "the music tree" as is is probably the most acoustically live wood known. It is used predominantly for violin bows, and rarely grows large enough for guitarmaking. 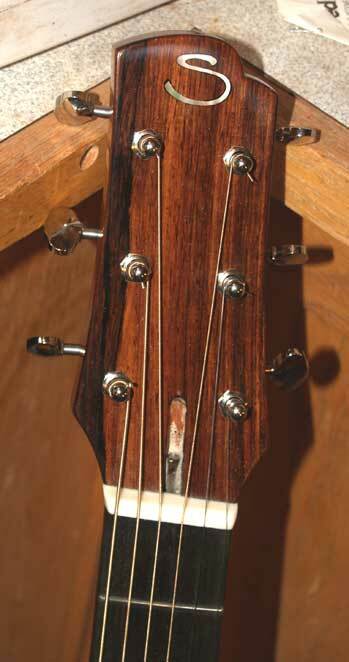 This is my third guitar from it, and I belive it is the best wood available if clarity is your first consideration. This guitar is no slouch.